The resolution calling the Government of Cameroon to respect human rights and release 47 asylum claimants in Nigeria, who are forcibly returned to Cameroon, was introduced to US Congress on 2 October. The Congress has also made a special notice on the need to enhance dialogue with Cameroonian authorities in order to calm the conflict. 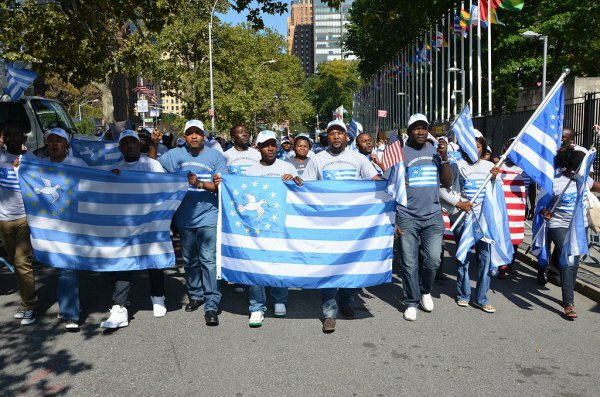 It comes just four days before the Cameroon general election where incumbent Paul Biya, the man Ambazonians hold responsible for their marginalisation, is expected to reclaim power amidst accusations of electoral fraud and clientelism. The US Congress has called on the Cameroun government to release Sisiku Ayuktabe and 46 other persons arrested in Nigeria and repatriated to Cameroun. The Congress has also urged the Government to release all detainees arrested within the context. The Congress noted that killings have intensified in both sides and that Independence fighters are blocking smooth school resumption. The US Congress has frowned at the Human Rights violation by Soldiers and called in them to respect international laws and only use force where necessary. They also noted that separatist fighters have made targeted killings of Chiefs and other persons considered as selling the struggle. The US Congress has called on the Cameroun government to fasten dialogue process so that calm will return in the region.